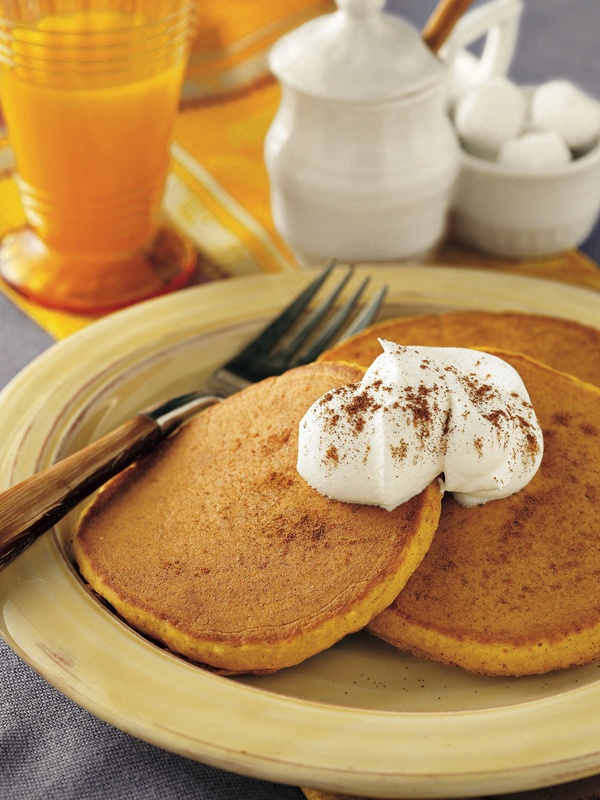 Thought up by Krusteaz, these pumpkin spice pancakes will leave your brunch guests satisfied and speechless. In a medium bowl, stir together pancake mix, brown sugar and pumpkin pie spice. Add water and canned pumpkin. Pour slightly less than ¼ cup batter per pancake onto lightly greased and preheated 375°F griddle (medium heat). Cook 1 ½ minutes per side, turning only once. In a chilled bowl, beat whipping cream and maple syrup until stiff. Serve pancakes with a dollop of maple whipping cream and a sprinkle of cinnamon, if desired.